Goals: Get out there and have Fun! Why I race: I enjoy the trill of competition, pushing myself to become a better racer and have fun riding. 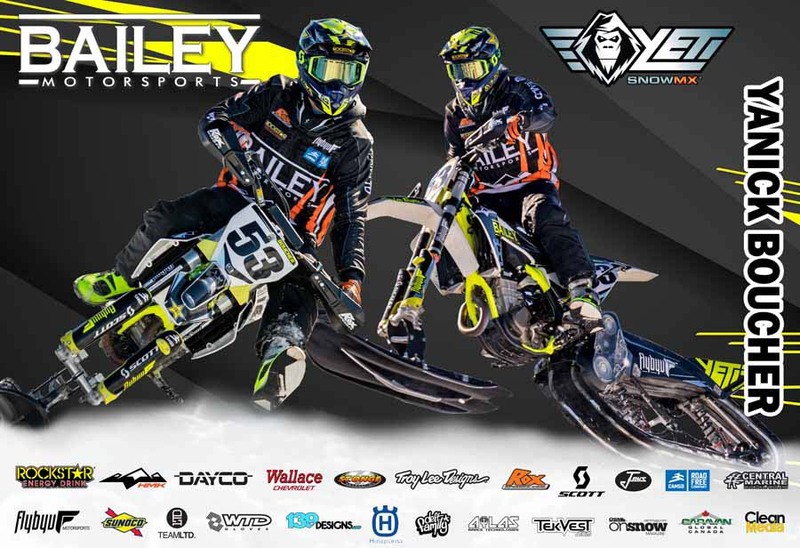 Quote: I am super excited for this opportunity to be joining the Bailey Motorsports team. I’m really looking forward to start riding and getting ready for the upcoming season! Goals: For 2019 I look retain my Junior Girls title and have the overall goal of racing Pro/Am Women in the future. Why I Race: I am a very competitive person and Snowcross is really fun. Share your greatest accomplishment thus far in yoursport? I think my greatest accomplishment thus far was last season! I learned I could run up front and compete with some of top riders in my classes! Goals for the upcoming season? My goals this coming season are of a course to try and win but also have fun trying! How old were you when you started riding? I was about 3 years old when I started riding. Films: Slednecks 18, 19 and 20 (currently filming), 509 volume 12. Goals: Get a invite to Winter X Games, get backflips dialled, learn some flips tricks, send it in the backcountry this season and put together some dope segments for Slednecks 20 and 509 volume 12. Why I Ride: it’s the same reason why I fly. Cause it’s in my blood. It’s the way I live my life. Its the reason I get up in the morning – the adrenaline rush, the thrill of it and pushing the limits of my self and machine. At the end of the day it’s rewarding. Outlook: Lood forward to working with our riders, lead mechaincs and marketing partners. 2019 – Team of the Year Award. mechanical knowledge and a love of racing that started in the mid ’80’s when he raced motorcycles on dirt and ice. A successful Marine business owner in Muskoka, and the now famous winter snowcross training facility, The Compound. Mitch King. With several years of experience, Derek quickly made an impact. 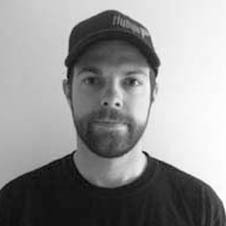 As owner of Flybyu Motorsports, Derek also manages a successful business, now working with Yeti and Camso snowbike kits. Derek now leads our Snowbike program, helping the team capture the first two Championships in the the new class in the CSRA. Doug is the guy who introduced me to the sport of-Snowcross back in 2000. Back then Doug and I shared his 1999 Ski Doo 440. Doug ran the Masters class for a few years, placing 1st or 2nd for three years in a row. 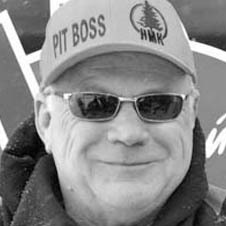 Doug (Pit Boss) Hass has been an important member of our team ever since. Now in charge of everything that happens once the riders enter the RV to fill up on energy, he is well known for his BBQ talents and is always there to lend a hand in the pits to our riders. Its has been several years since Doug retired from Ice Oval racing. Back in the day he won several race events and championships. Riding Ski Doo for years, Doug and his brother Don were a team the factory riders worried about every weekend. 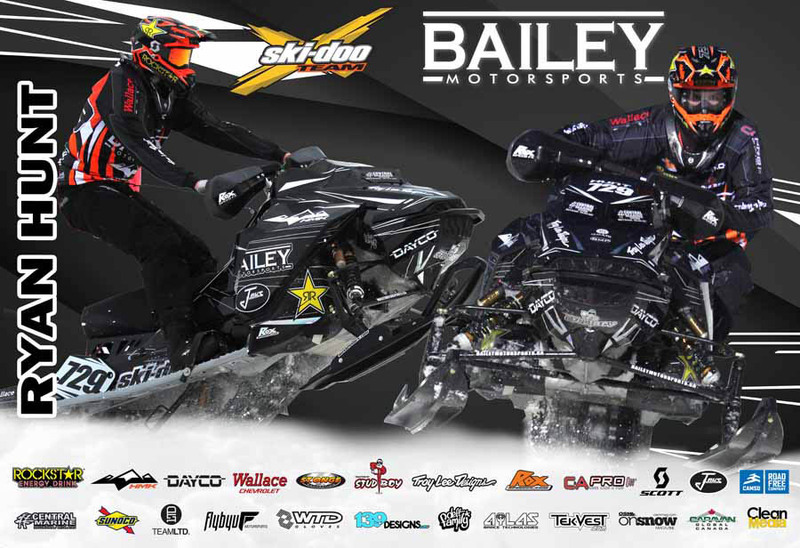 Troy Started racing snowcross in 1997, working his way up the ranks over the seasons with numerous class and division championships to eventually race the Pro classes in 2002 and 2003. Troy took a brief leave from racing just until his oldest daughter found her love of snowmobiles at the age of 4 and was drawn back to the track in a different role. Troy works on the technical aspects of the Junior division of the team. 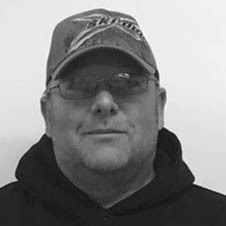 With over 22 years of mechanical experience as a technician he ensures the snowmobiles are race ready. In addition the track experience he gained in his years of racing, has enabled him to share his knowledge and strategy with the racers. Heather has been involved with the Bailey Team PR for three seasons now and just loves doing promotions for the team. When not busy with her two boys and their busy lives, she also works in landscape design and as a parks technician.